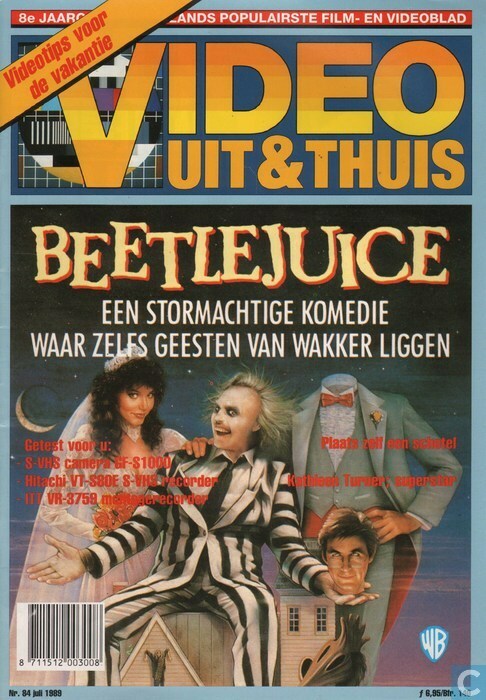 iRewind Talk: Vintage 80s movie ads in magazines or newspapers. 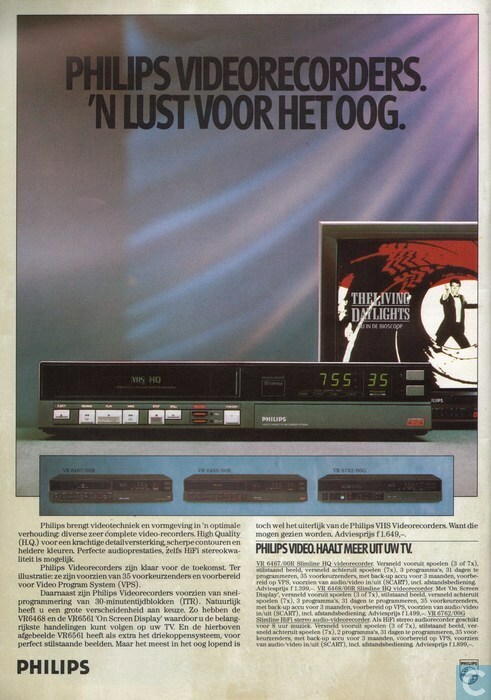 Author Topic: Vintage 80s movie ads in magazines or newspapers. 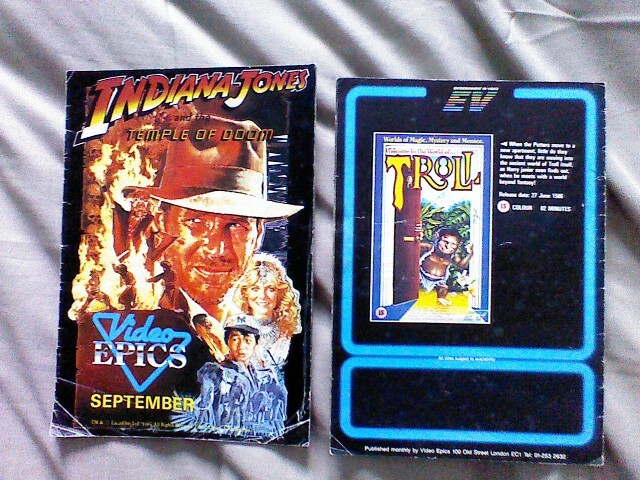 Does anybody have old movie ads from the 80s. 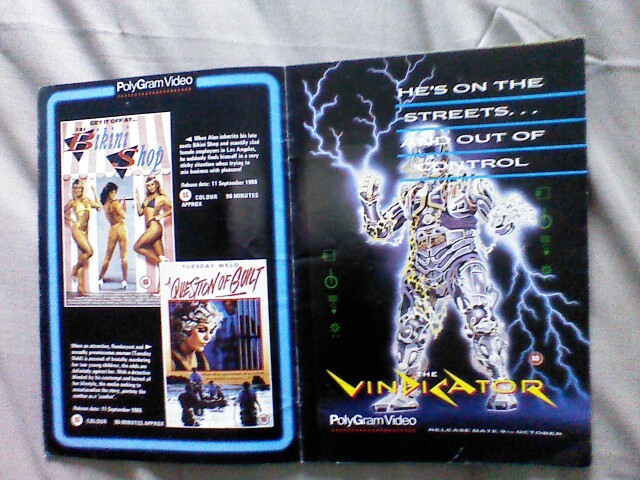 Rolling Stone magazine used to put upcoming movie ads in there mag. I have some and would like to show them on here but not sure how to get them on. If you have any i would love to see them. many of them still unavailable on any digital format. Unfortunately i don't have the ability to make pics and put 'em up on the site. Sounds awesome. Perhaps i could drop by sometime. I just have a handful...Splash, Psycho2, Airplane 2 and the Man with two brains. 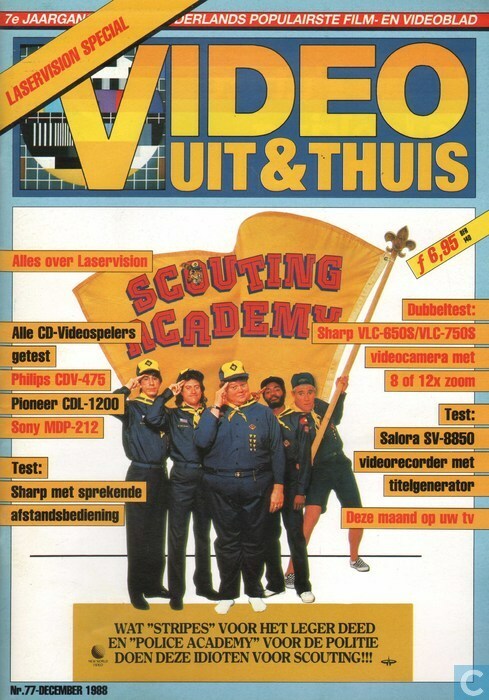 Vintage Dutch video magazine covers from '87 - '89. 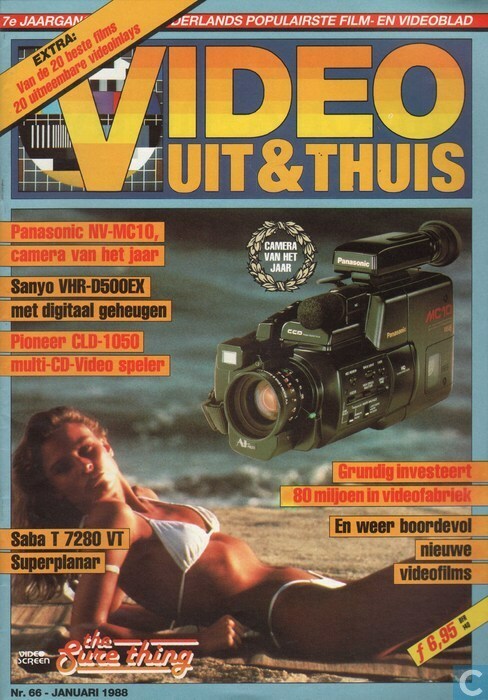 and has tons of reviews of then-new video-releases as well as electronics like TVs, VCRs and cameras. oh yeah Johnny! love those. The big recorder is something. Thanx for posting. Really enjoyed looking at them. 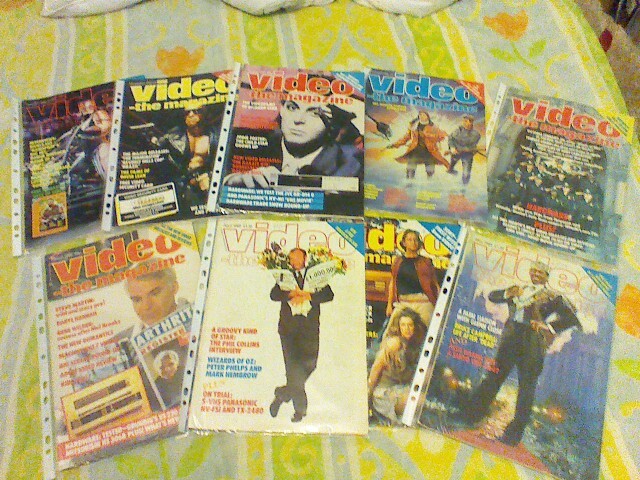 These mags look very cool johnny and in the exact same style of the ones I used to collect over here in the UK which were named video today and video -the magazine which were monthly editions. 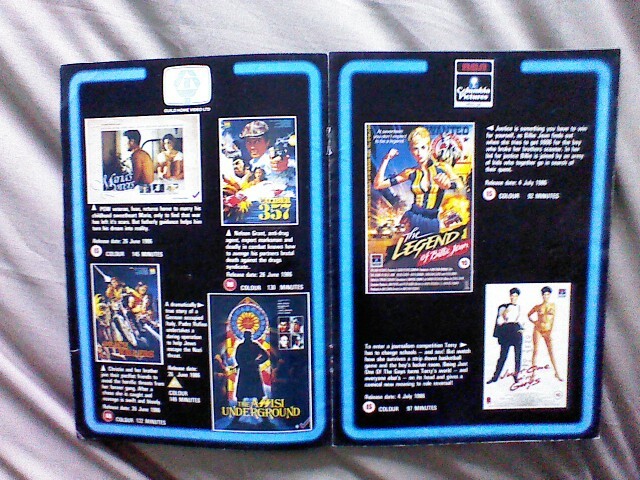 Both magazines followed a similar pattern with new releases at the front,then interviews and random other bits n bobs,then a large detailed review section of the months releases,next would a hardware review with video cams and recorders. Then at the very back was the adult section which I managed to keep quite a secret from my mother until one month they decided to extend it to include the outer back page. Always remember the look of shock horror on my parents face,though they did not stop me from collecting them which was cool! Picked up a Hit Parader magazine from 1983 at a garage sale today that had an ad for Private School for Girls on the back cover. Its pretty good. This hit parader magazine looks like a great read terdnthepoolggb,it says on the cover of the ones I have seen online that it was also available in the UK as well but for the life of me I don't think I've ever come across it or either that I have seen it before and it's just not registering. hahaha! The best aisle in the store Warrior. its fun to see stuff that was being discussed at that time which was new at that time and knowing more about it now and comparing the opinions after 30 years. also scored a Blondie poster from the early 80s over the weekend for a dollar. I was surprised when i sawit on ebay selling for $30. It's surprising what people get rid off in these garage sales or boot fairs as we have here in the UK terdnthepoolggb,some people just don't realize the real value of what they are selling. Sales for $30 upwards,sounds like you got a right bargain there and I imagine it will only go up in value. i got lucky on that poster. i bought it for myself since i loved Blondie back then. i had no idea of its value. If i knew its value i would have bought other one they had. Yes, they had another. o well, Im happy. Found this image of the first issue from 1981 and i believe it's still going strong now. 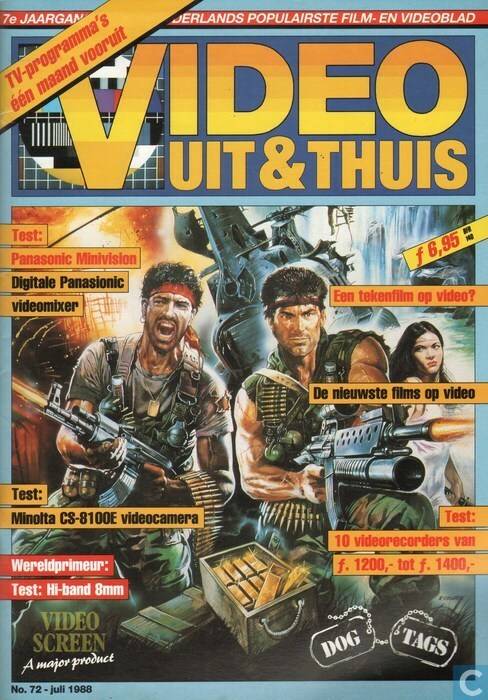 Those video magazines look awesome. I've never seen them before. I used to love Hit Parader and Circus. Kerrang was harder to find here in PA. I worked at the mall over Christmas break when I was around 20-21 selling gift certificates. When I took my lunch break, I'd go eat, then go to Thrift Drug and read HP or Circus. The girls who worked there didn't mind. I picked up a few of those type magazines at an antiques mall about 5 years ago. I need to dig them up and let you all know which months/years they were from. 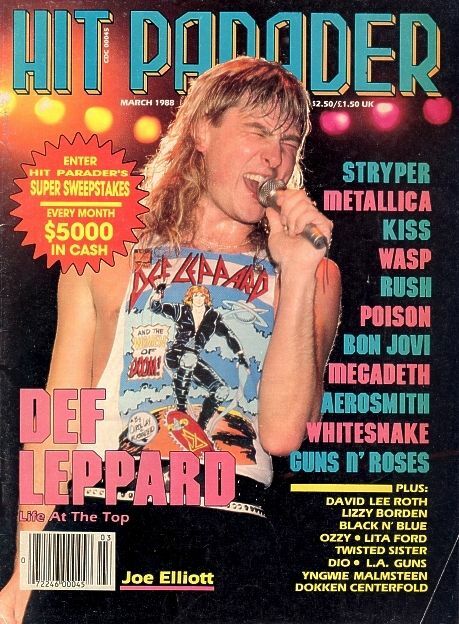 I own lots of these 80s hard and heavy magazines. 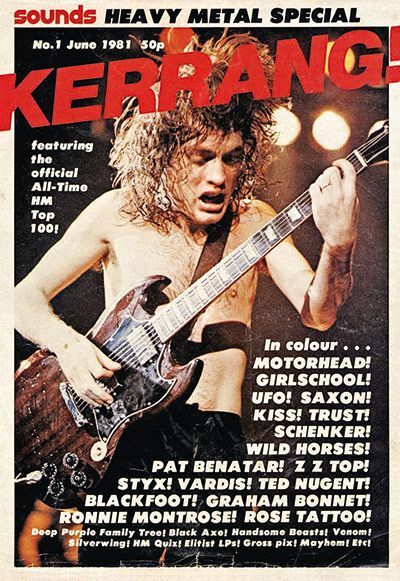 Mainly Metal Hammer and Kerrang but also some Faces Rocks, Hard Rock, Hit Parader and Crash (german) magazines. 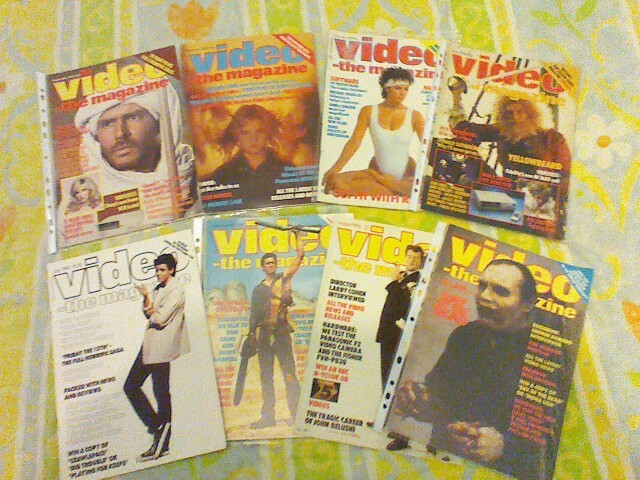 This is a pic of just a few of my monthly video mag I used collect which was known as - video - the magazine. These used to be a really great read and was packed with reviews of the months new releases,latest software,news,adverts even an adult section which my mother didn't really approve of. The great thing was that they were always delivered on a Saturday morning when I was off school so I could just crash out most of the day and read it to my heart's content! 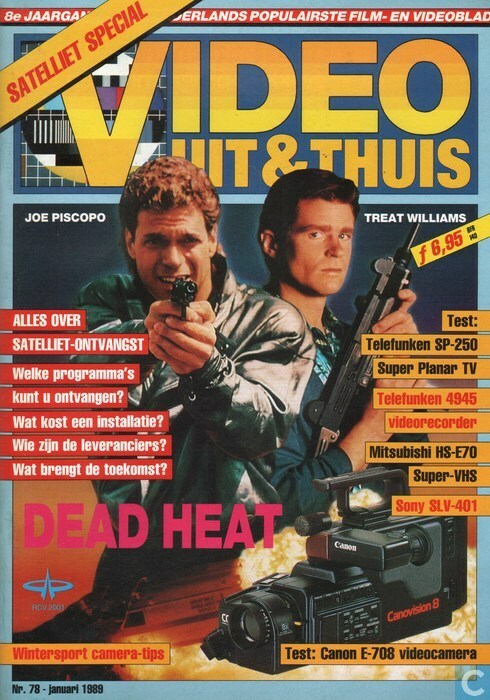 This was the free in store monthly mini video magazine known as - video epics you could pick up in store at my local video rental outlet known as - tower pleasure video. Really great little video magazine that I looked forward to coming into store each month and the fact it was free made it more the better. Inside June 1985 edition featuring - the legend of Billie jean and just one of the guys. Featuring Malibu bikini shop or the bikini shop as it was known here in the UK,a question of guilt and a full page ad for - the vindicator. Atomik am I right in thinking rock/heavy rock is the most popular form of music in Finland,if so it sounds like my type of place! 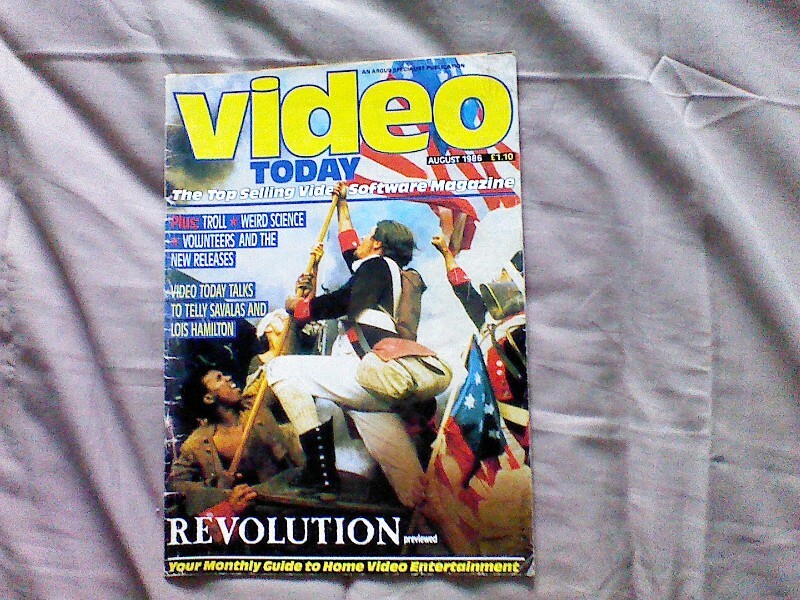 August 1986 edition with Hugh Hudson's - revolution on the front. 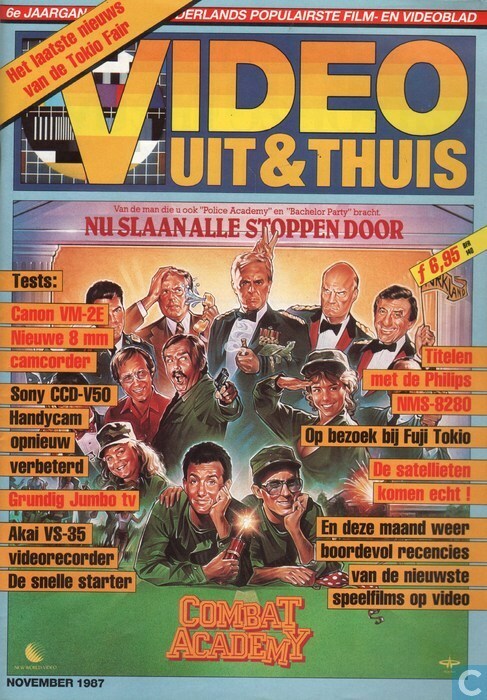 I actually used to collect 2 monthly video magazine's,this was the other one - video today . This was another really decent read with more or less the same format as the other monthly I got but with enough small differences between the both to make it also a worthy pick up. 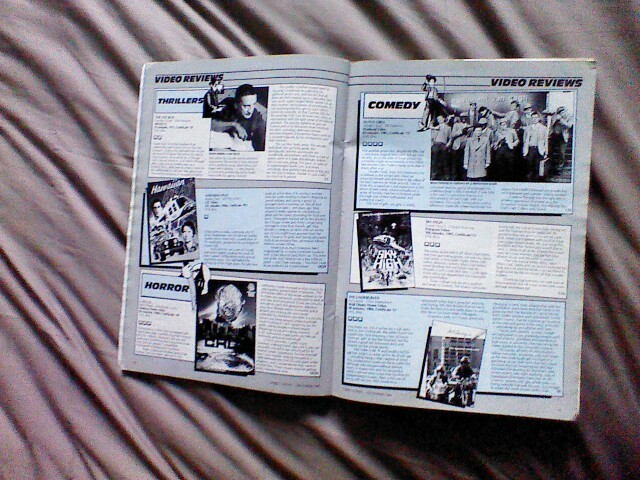 Inside September 1985s featuring reviews of - chud,Hawaiian heat,the last run,dutch girls,sky high and Disney's the undergrads starring art carney. What are the thrift stores like Pittsburghgirl,when I watch a lot of these online video reviews you always get the reviewers saying this is what I picked up at the local thrift store and it will be some rare old vhs,DVDs etc. Is it a store that is made up of a bit of everything? Young warrior, some thrift stores have a bit of everything, but finding anything good is getting tough. Everyone is trying to sell everything on eBay. We don't have a lot of thrift stores around here other than Salvation Army and Goodwill, which both rely on donated goods. Most of it is clothing, then, a little bit of toys and games, books, housewares, furniture, records, VHS and DVDs, costume jewelry, etc. I have found a few old concert programs at these stores, but that was probably about 10 years ago. I've never seen good old magazines there. Cool pics, warrior! I´ll try to post few too if i can get good enough photos. Yeah, we love heavy metal here but pop/rock is also very popular and one thing that i don´t like, finnish rap music is hip right now. Aah, Malibu Bikini Shop. Now that´s a classic beach flick! Same as me I've never really taken to rap in general,talking of Malibu bikini shop I always wondered why I couldn't find a UK vhs i never noticed it was under an alternative title (the bikini shop),saying that I bet the old vhs is pretty rare now. It's one I've been wanting to check out for an absolute age but never managed to get my hands on. Maybe it will get a blu ray release at some point! That's one I've just noticed from my magazine pic I'd like to check out which I've never seen - dutch girls. Have you ever seen it atomik? Never seen Dutch Girls but i know that it was released on vhs here in Finland and i´ve seen the tape on sale just few weeks ago. I need to grab it next time!